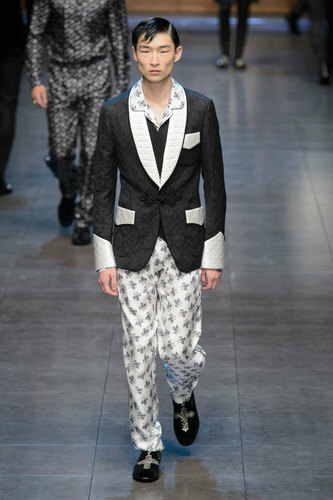 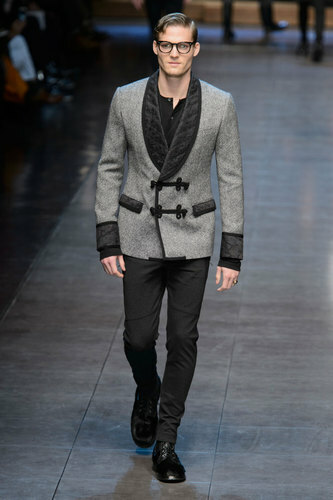 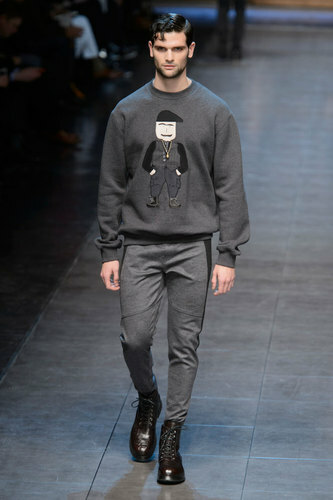 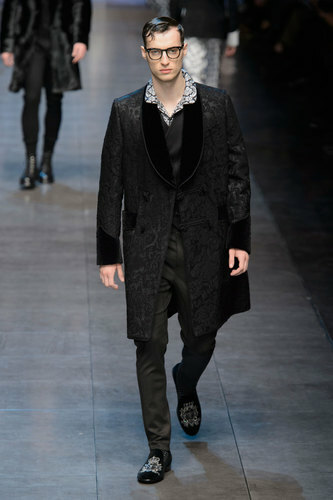 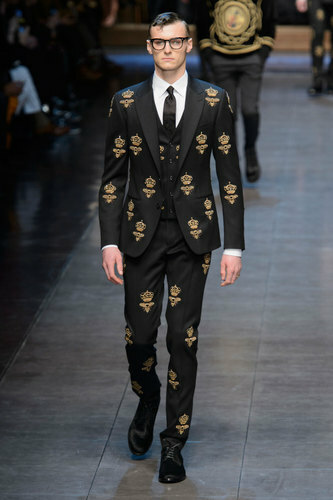 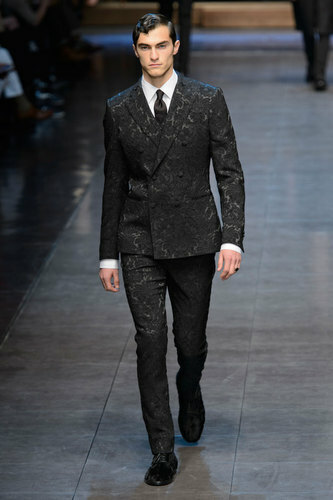 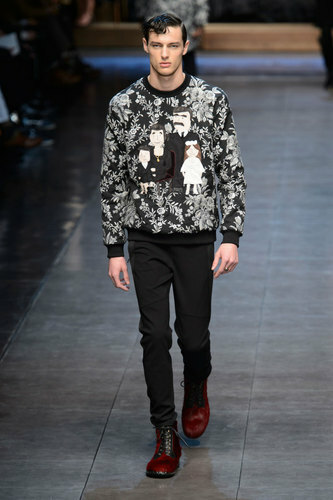 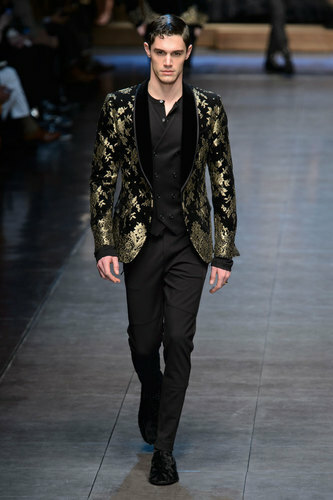 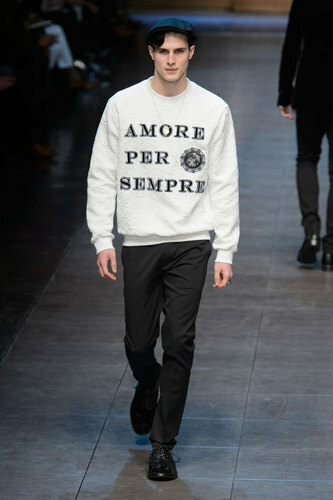 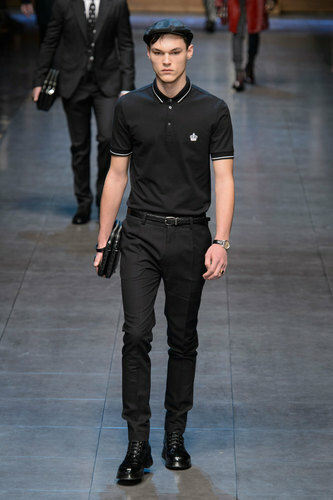 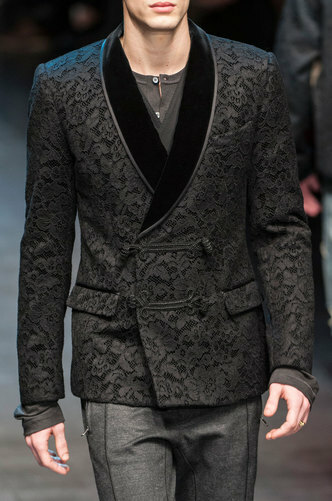 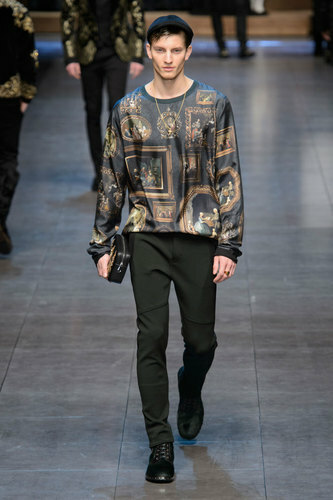 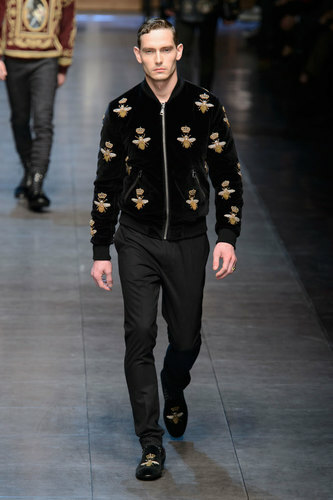 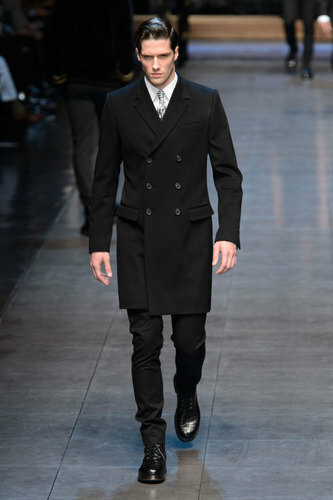 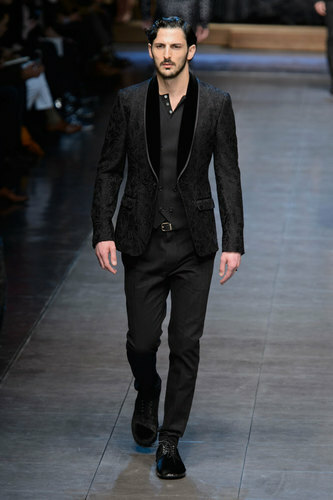 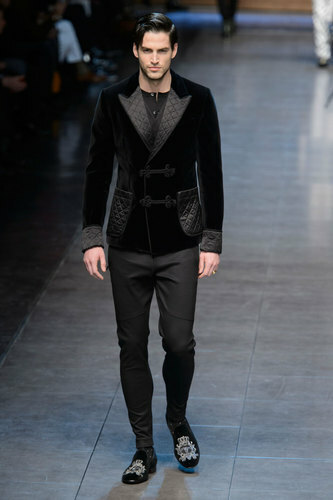 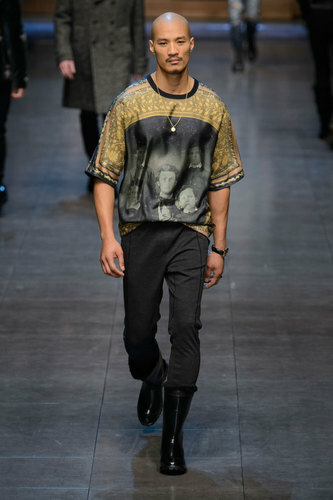 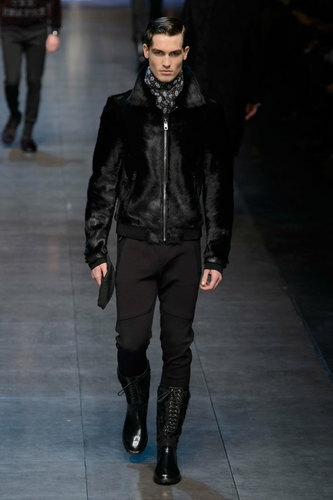 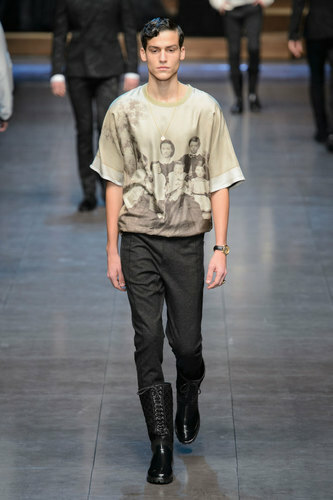 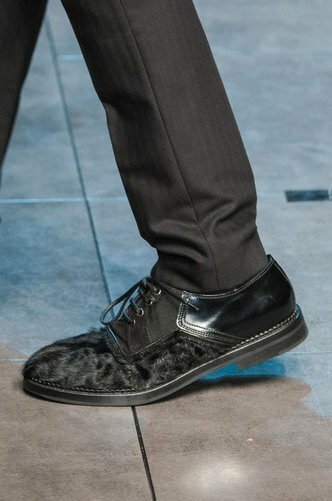 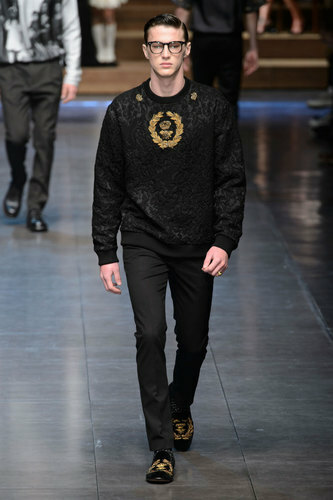 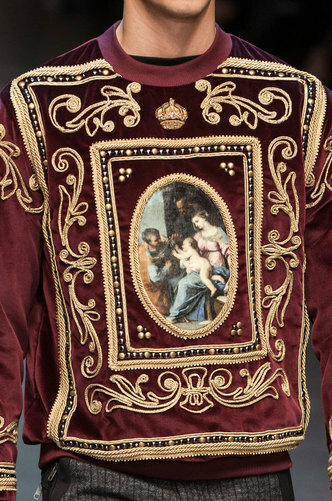 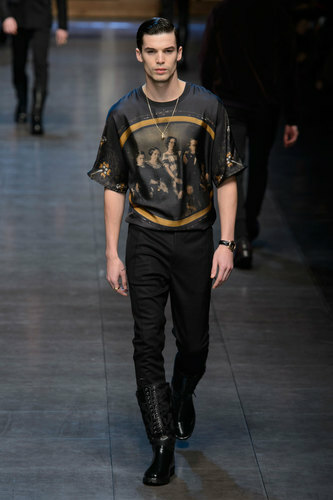 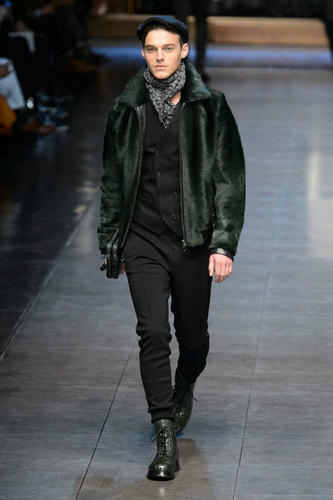 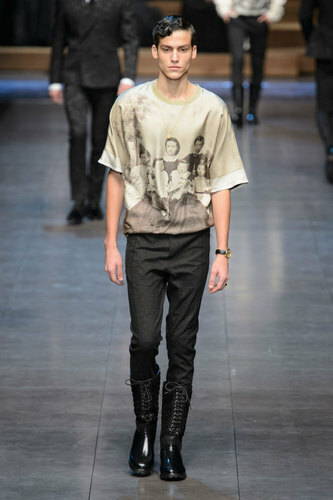 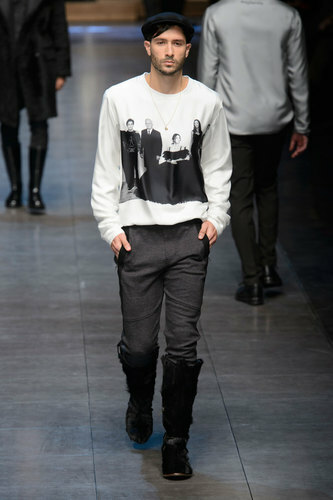 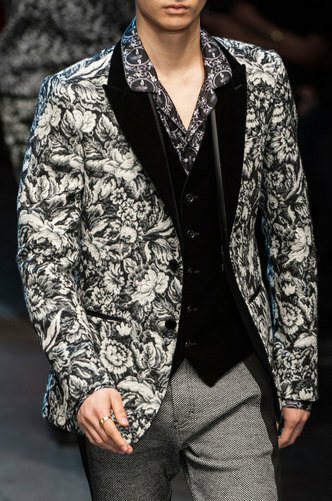 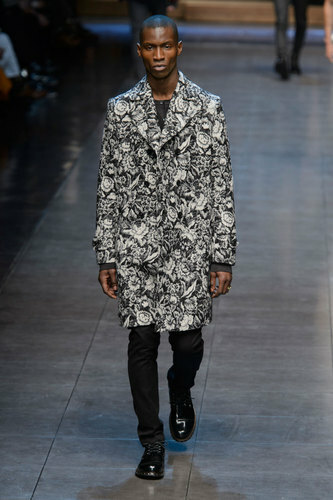 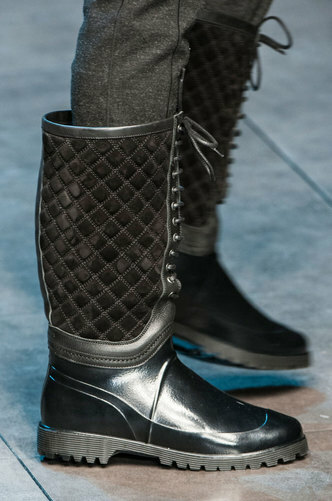 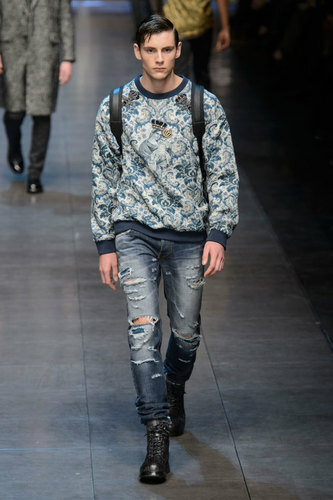 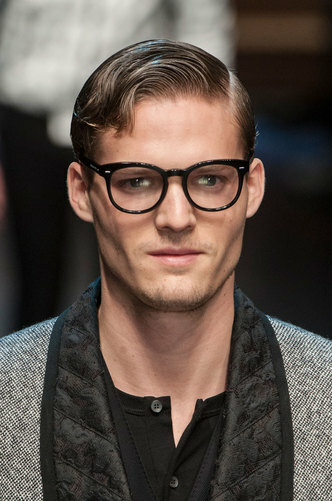 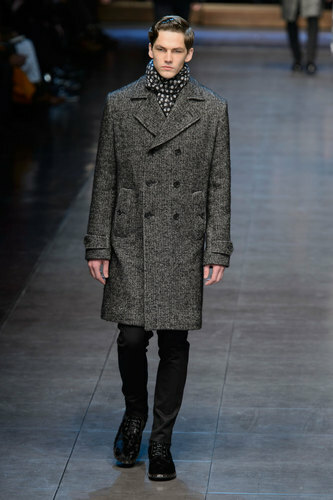 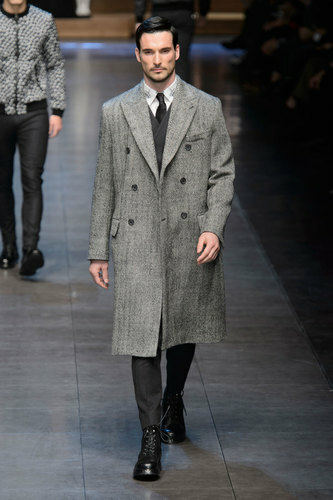 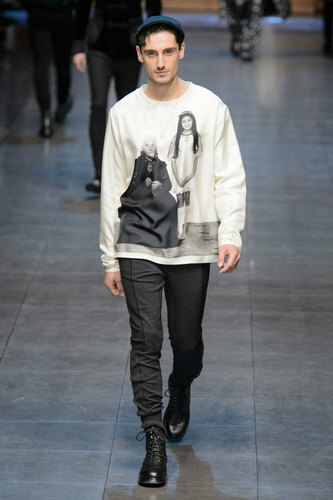 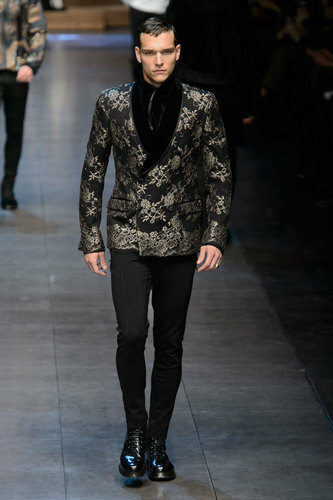 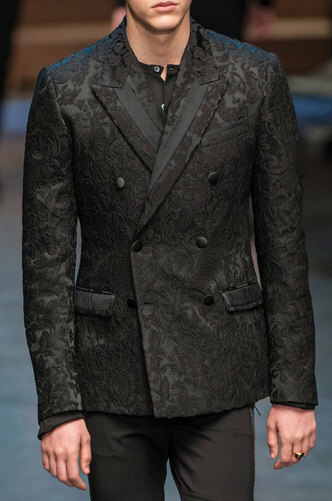 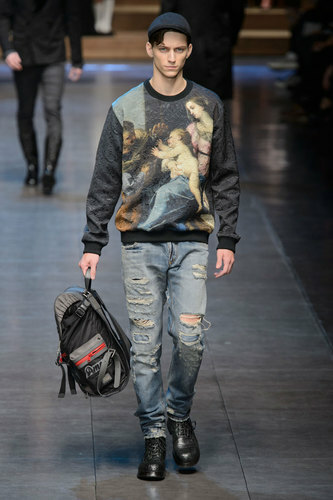 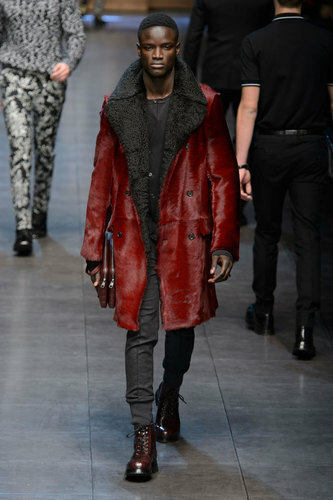 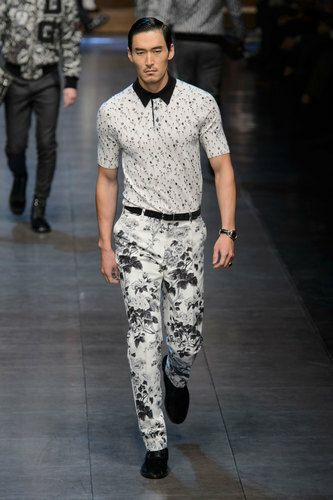 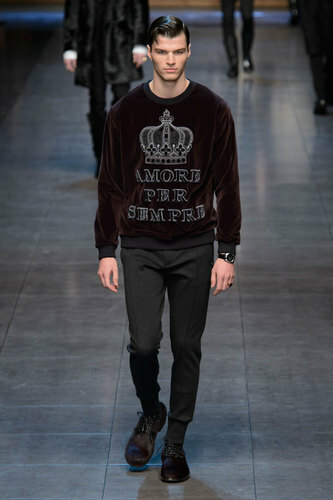 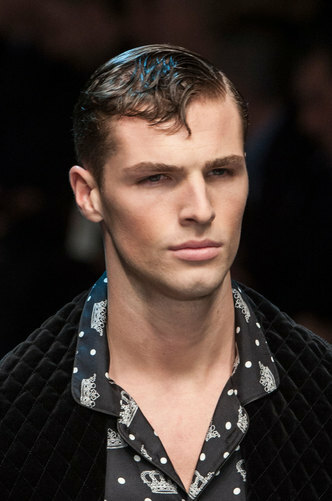 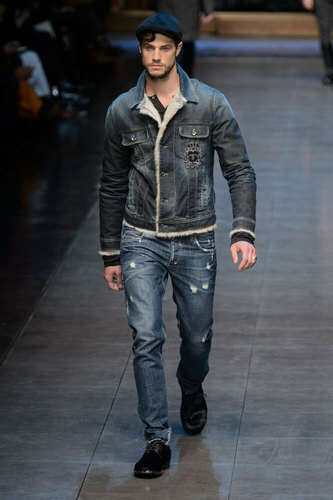 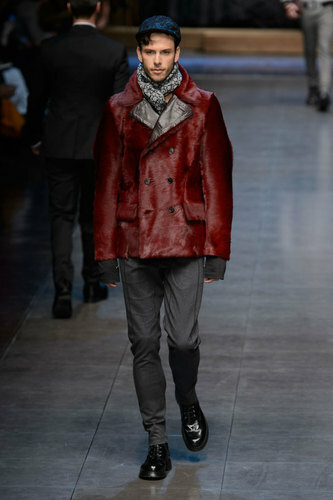 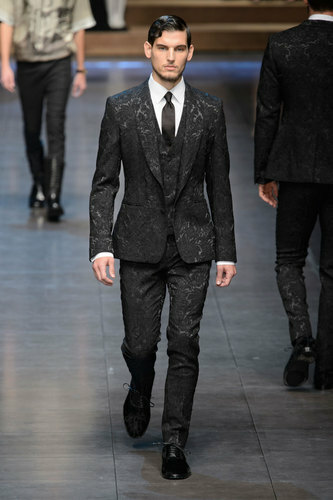 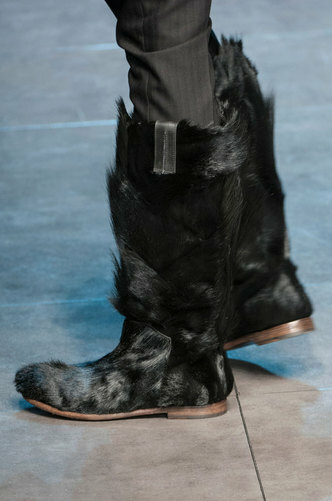 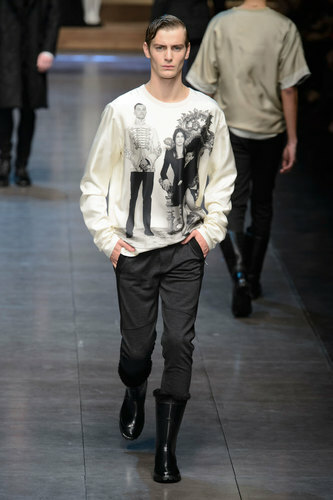 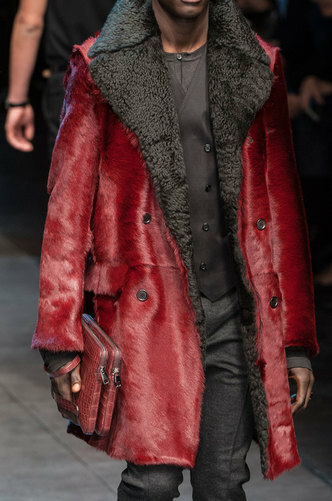 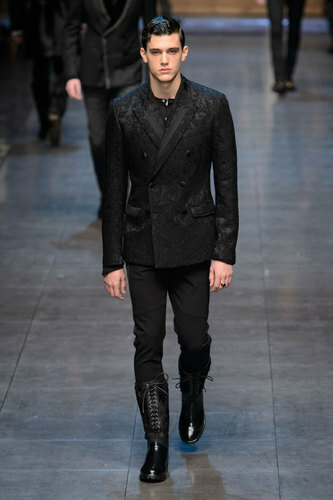 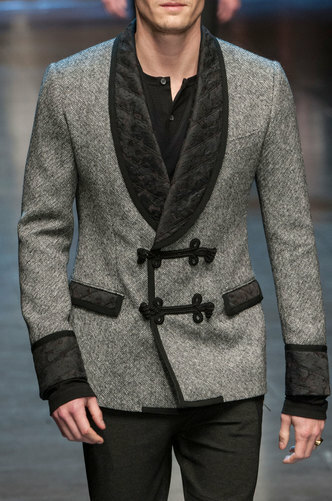 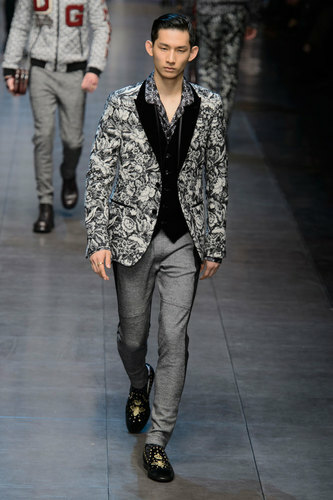 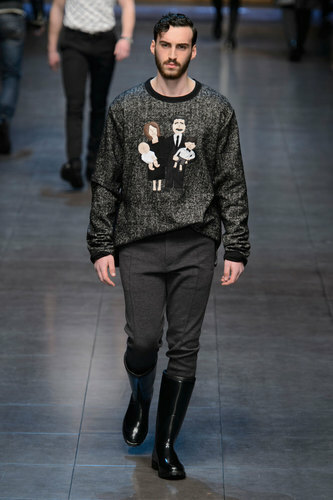 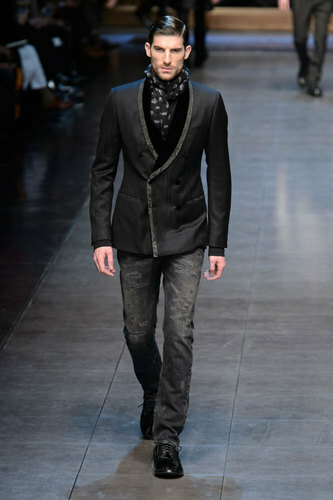 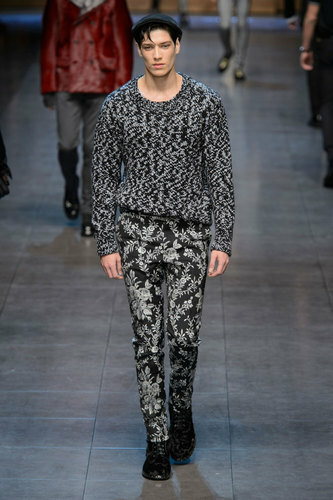 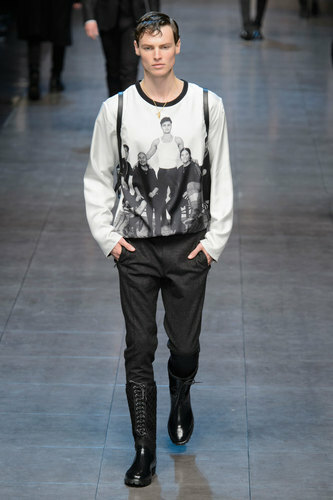 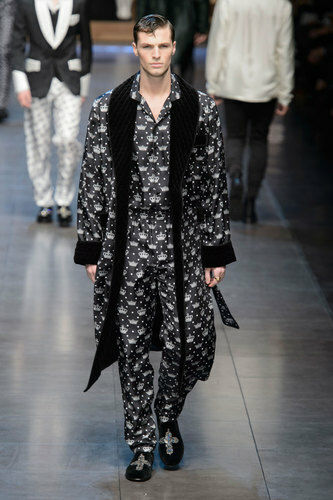 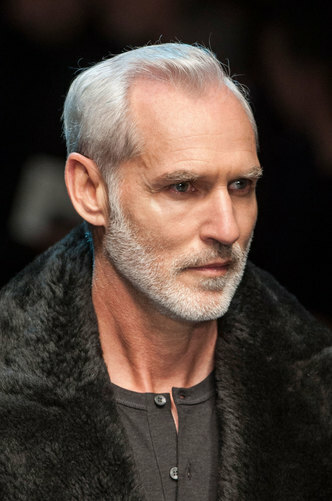 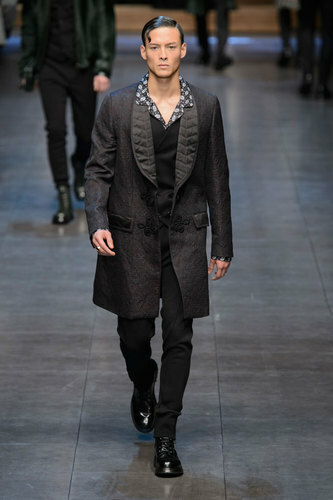 Dolce & Gabbana Man Autumn-Winter 2015-16 – Dolce & Gabbana is synonymous of reliability towards a great show. 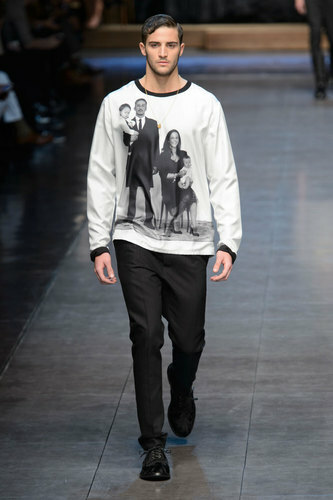 More then ever, the Italian duo celebrated the family. 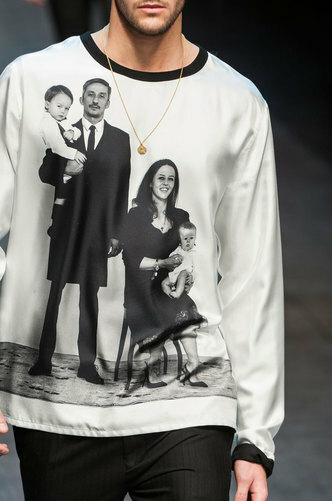 A live family portrait was created as the background of this impressive collection . 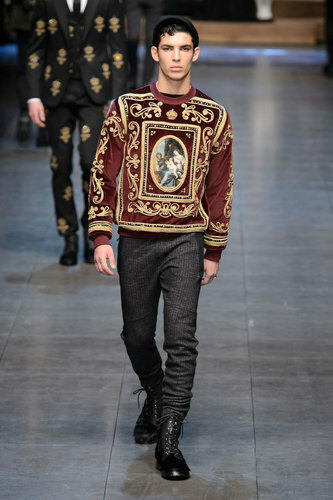 The majestic scene includes all the generations and eras. 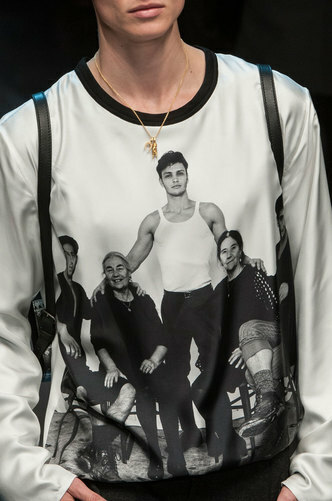 The theme is central in this season: black and white vintage family pictures are one of the principal prints on the shirts developing in funny modern puppets describing parents and their children. 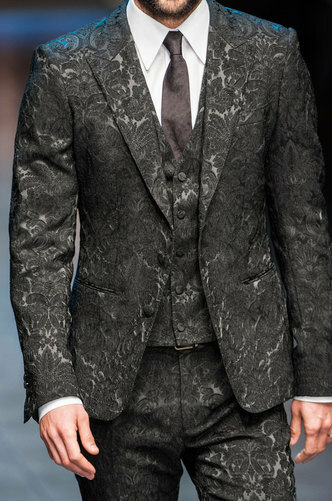 Besides the classical suits the Italian brand fills the outfits with sentimentalism and a clear expression of feelings. 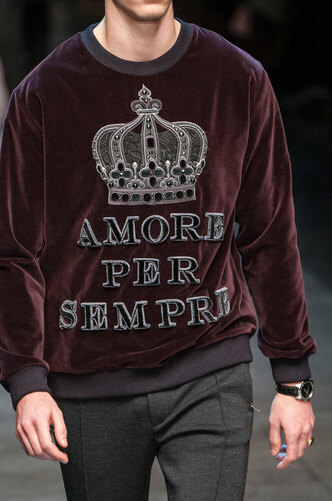 Statements such as “Ti voglio tanto bene” (I love you) or “Amore per sempre”(love for ever) decorate some of the tops. 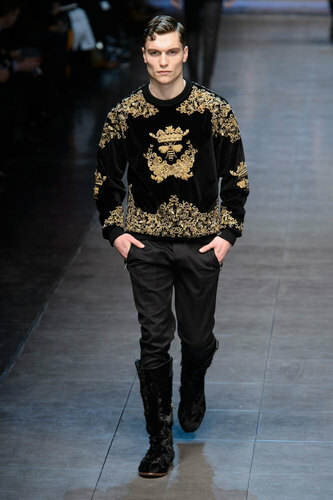 Gold Bees and crowns are adorning a big part of the collection such as holy images and damask fabrics. 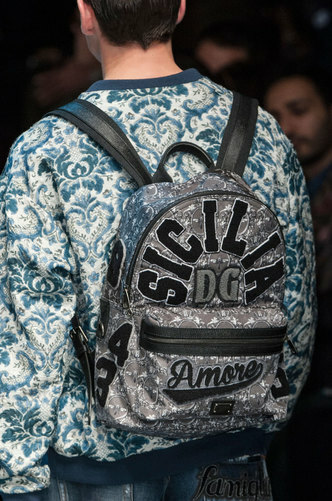 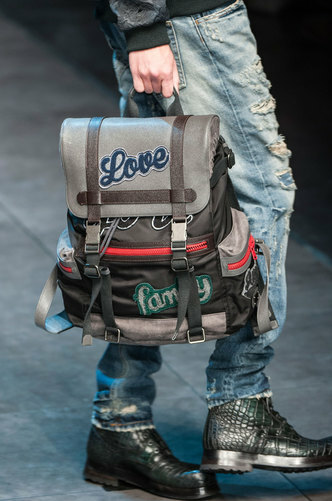 Dolce & Gabbana Sicilian inspiration is always present: from “Sicilia” printed on a backpack to The coppola, traditional flat cap worn in Sicily, main accessory of this season.